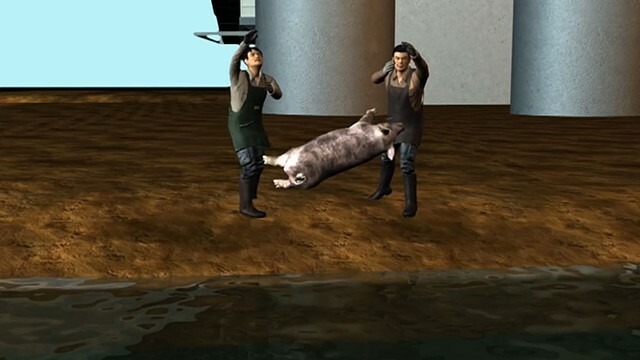 In Chinas Zhejiang province in early spring of 2013 dead pigs began appearing in multitudes on the Huangpu River, which supplies drinking water to Shanghais 26 million residents. When the count was finally complete, over 16,000 were hauled from the water. Speculations about the unchecked productivity of pig farming indicated excessive supply despite increased demand (estimated at over half the worlds pork consumption). Meanwhile, the polluted water that flows into the citys taps can only be matched by the toxic visions promulgated by the apocalyptic evangelicals in American.